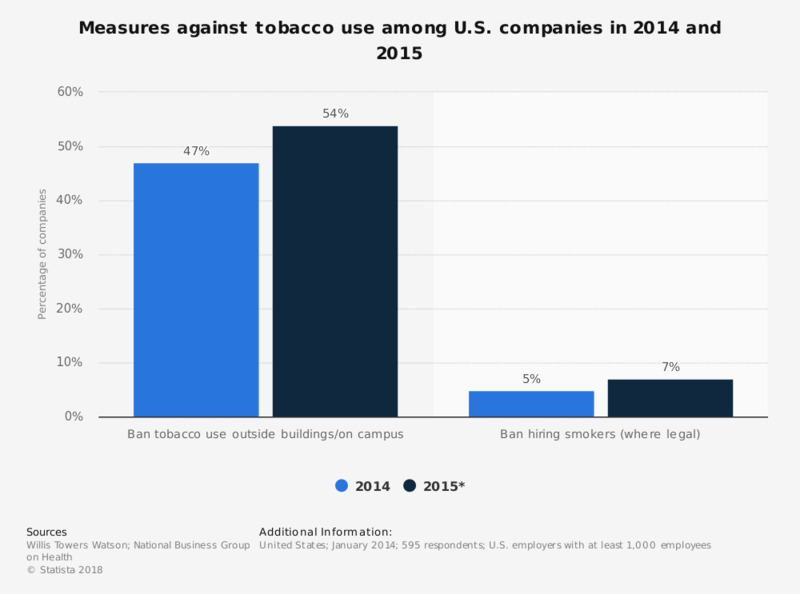 This survey depicts measures against tobacco use taken by U.S. companies in 2014 and 2015. As of January 2014, some 47 percent of U.S. companies stated that they have banned tobacco use outside buildings and on campus. Respondents collectively employ 11.3 million full-time employees, have 7.8 million employees enrolled in their health care programs and operate in all major industry sectors. In 2014, respondents anticipate spending, on average, $12,535 per employee on health care, which equates to a collective $98 billion in total health care expenditures.